In those days, of course, tulips at least had to be able to flower. But things have changed since then. The "Free Lunch" period. 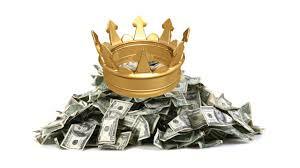 A long, slow buildup of price distortion, during which investors convince themselves that rising prices are entirely justified by fundamentals, even though it is apparent to (rational) observers that they are buying castles built on sand. The "This is nuts, when's the crash?" period. Everyone knows prices are far out of line with fundamentals, but they carry on buying in the irrational belief they can get out before the crash they all know is coming. Speculators pile in, hoping to make a quick profit. Prices spike. The "Every man for himself" period (sorry, FT, I couldn't find a reference for this one). Prices crash as everyone runs for the exit. This can happen a number of times, separated by brief periods of stability when everyone congratulates themselves on a lucky escape. But they are wrong. The ship is sinking. The sharp-eyed among you will have noticed that there are no tulips in this chart. That is because financial crashes don't have to involve tulips. This one, of course, is stocks. This is the dot-com bubble at the turn of the century. Characteristic shape, again: long slow buildup, noticeable spike, and a crash in several waves. Classic. 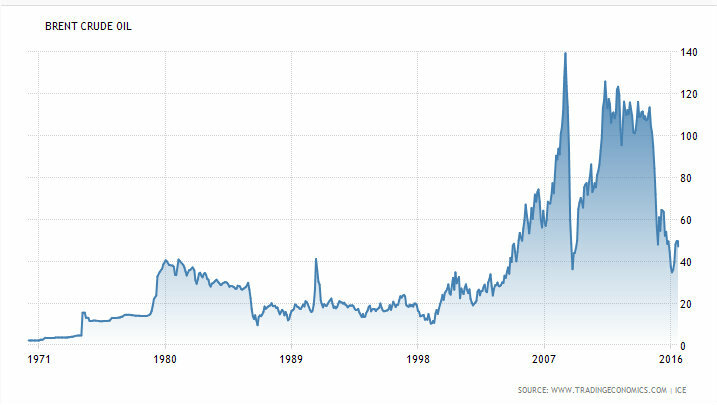 This shows the unsustainable buildup of oil prices from about 2004 onwards, culminating in a simply massive spike and single dramatic crash (no waves) in July 2008. Of course this had no connection whatsoever with the failure of Lehman Brothers in September 2008, did it? Oh, and in case you were wondering - the second, longer-lasting spike is caused by the Fed pumping up the oil price with QE. The oil price crashed again in 2014 when the Fed ended QE. 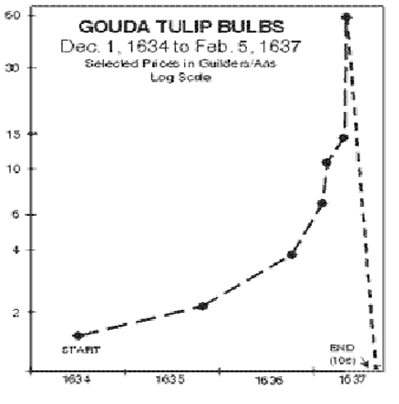 Tulip mania, central bank style. Don't anyone ever say that QE isn't inflationary. Now, you are no doubt wondering what all of this has to do with the crypto-title of this post. Well, it just so happens that a fine example of the asymmetric herding I have been talking about is happening right now. Cryptocurrencies are undergoing a massive sell-off. In fact, just about every cryptocurrency is selling off - see the list here at CoinMarketCap. And as far as I can see, they all show the characteristic shape of a financial bubble, though some coins are late to this party, so only show the speculative spike typical of the "This is nuts" stage. And the irrational beliefs underlying financial bubbles are also there. 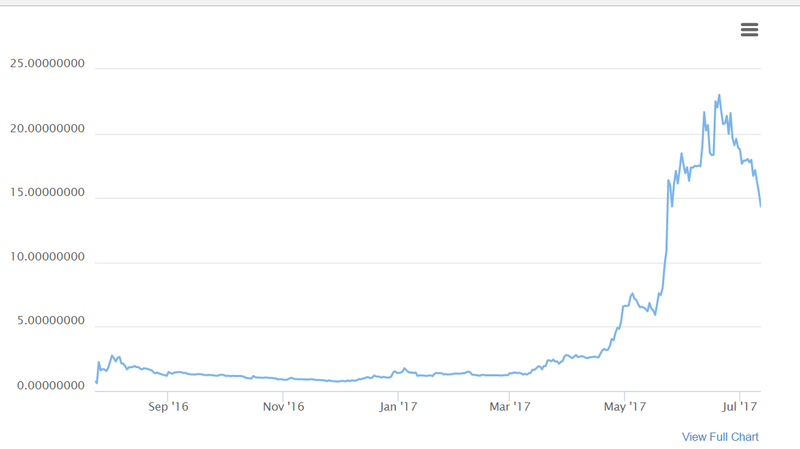 For months, there has been discussion in the financial press about the possibility of Bitcoin and Ethereum being in a bubble: but hardened investors dismissed it all. And are still dismissing it, despite the compelling evidence that not only is this a bubble, it is bursting. Crypto-tulips are no more valuable than real ones. And crypto-investors are no more rational than any other sort of investor. Pride goeth before a nasty crash. 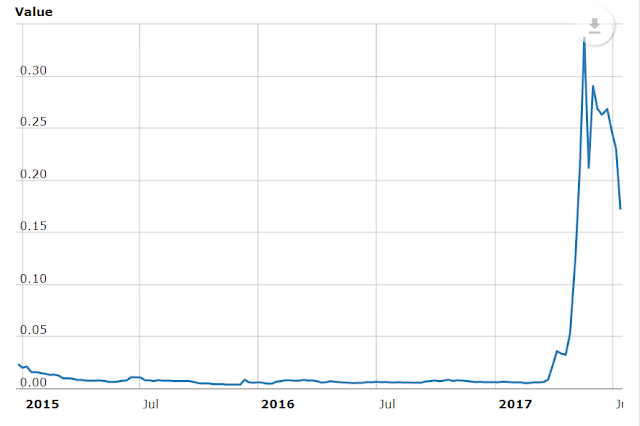 Bitcoin wants to be the far west, but when it comes to publicly traded assets with "deep, liquid" markets, could we insist that sales are concluded 1 week after a seller lists a lot for sale, at whatever the market price is that day? That would remove the macho component of thinking oneself the quickest. Another idle thought is a stampede tax: a tobin tax whose rate would spike in the case of a run. The rate could be set by an algorithm, adjusted from minute to minute based on transaction volumes. I've always liked tulips. I spent a good career investing in companies that needed capital (or, more precisely, were obliged to pay off the shares they issued back when they did). Cryptos, however, seem like a solution to a problem that only will exist in a dystopian-libertarian future when we only trust the Matrix of miners. 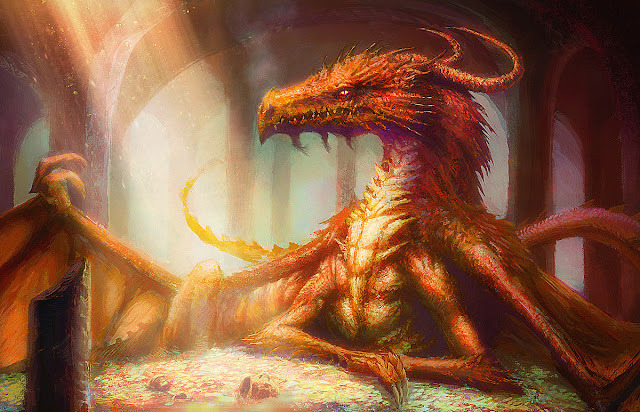 Which so far, has shown itself not vulnerable to, but absolutely built in order to encourage/exploit the herding you mention, for the private gain of the first-to-the-Ponzi game. Like the new design too, but where has the blog roll gone? 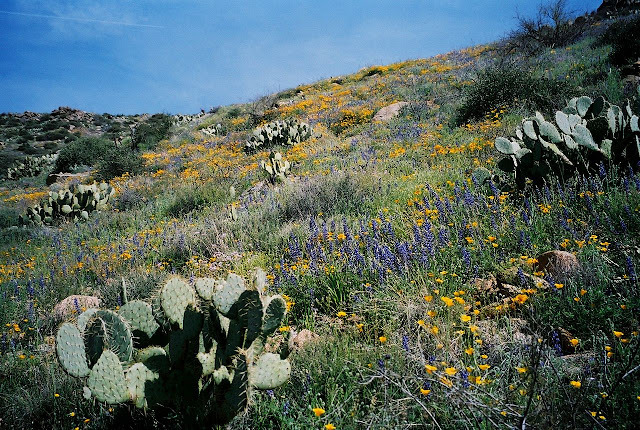 It led me to some very interesting blogs I would probably not have discovered otherwise. Click on the arrow at the top of the screen next to "Coppola Comment". That takes you to the home screen. Then click on the three dashes at the top LH side of the home screen. Scroll down until you find the "Blogs I enjoy reading" bit. This article completely fails to understand or even mention what is happening in the market right now. It is just lazy to overlay this with that and say they are the same, retrace and consolidation is to be expected in any asset that has seen such explosive growth. 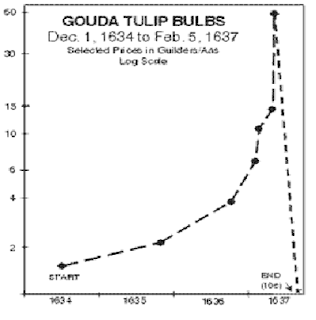 Also "The tulip bubble was not really a bubble it was actually a re-allocation of contracts to a swaption. By changing a contract to swaption they allowed government officials to get out of their contract and that effectively collapsed the price " - Craig Wright. 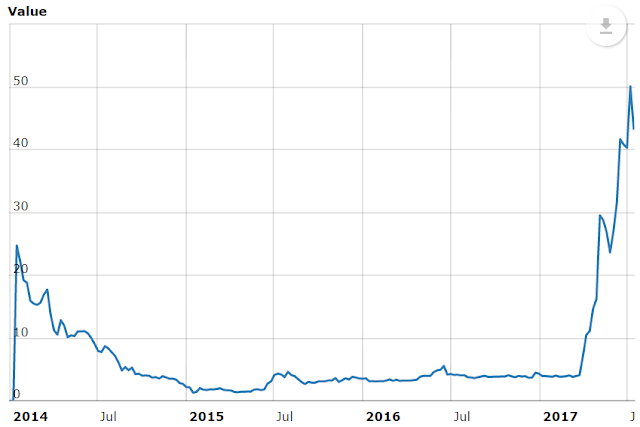 I provide market charts for several different crypto-currencies, but somehow I fail to mention what is going on in the market right now? What is going on in the market right now is a sell-off. 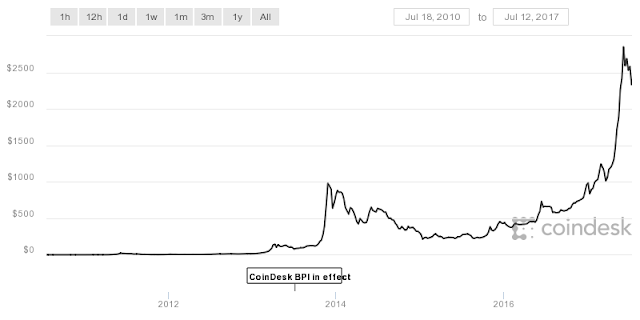 A major price correction. And as I explained in my post on asymmetric herding (see the link in the post), major price corrections are the inevitable consequence of explosive asset price growth that is divorced from fundamentals and in the end largely driven by speculation. How the final spike in a price bubble is created and collapsed is irrelevant. It is still a final spike and collapse in a price bubble. Yes, somehow you completely fail to mention anything that is going on in the market right now i.e. what is driving the charts. What is going on in the market right now is consolidation, not a sell off or even a correction, people are taking profits after seeing profits of over 5,000% in a very short period of time. Another contributing factor (for the Ethereum eco-system at-least) is EOS and Tezos dumping their investors contributions to their ICO's onto the market. Of-course BTC scaling issues are weighing heavily on the whole market too. The real bubble right now is in the 'real-world economy' with a replay of the sub-prime mortgage crisis, this time with cars. Whatever you want to believe. One person's "consolidation" is another person's price correction. 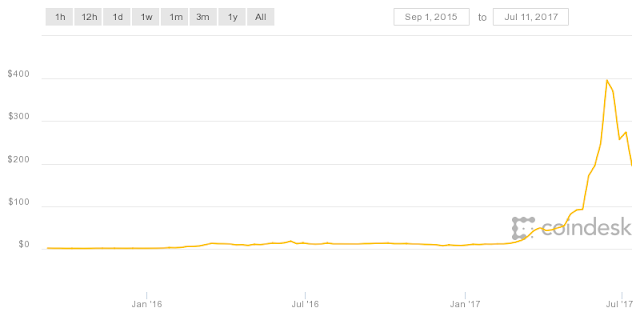 I agree the ICOs are contributing to the correction, as are the scaling issues for both BTC and Ethereum and the growing evidence that there is a fundamental conflict between providing a fast efficient payments service and delivering the sort of returns on investment that crypto investors have come to expect. The subprime autoloan problem is indeed worrying, as is student debt. 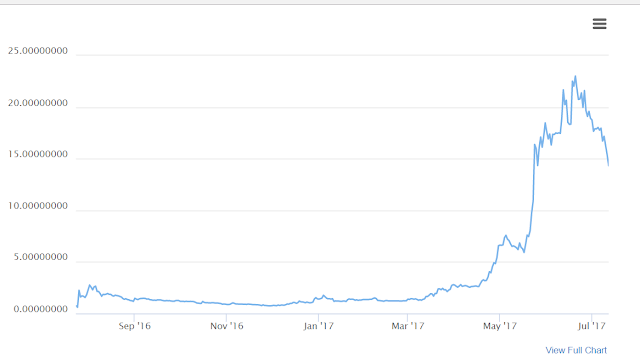 But that does not mean the crypto industry is not in a bubble. It is. Worth remembering that the growth and bursting of bubbles is a necessary part of the development of any new technology. It will be interesting to see what emerges from this period of Schumpeterian destruction. Jerrod Seisyll, your comment has been removed because it consisted entirely of a sustained personal attack on me. It contained no useful analysis and contributed absolutely nothing to this debate. You are welcome to post here if you have interesting things to say. But any further posts that consist largely or entirely of personal attacks will be deleted. Your market analysis consisted of nothing more than price observations . The only relevant point was that prices were moving in all markets . But far too early to call end of bubble , assuming there is one . And in your stage one , you assume immediate price distortion . Not necessarily the case . Valid points Imo . As for personal attacks , I try to keep it light hearted . But like a certain very British dude , you appear to be able to dish it out , but ... . Anyway , as you threw mud at your comment person on twitter , I assumed mud throwing = o k . Still , delete as you wish . I delete posts that violate one or both of these rules. Repeat offenders may be permanently banned from commenting. This policy is clearly stated on the "About This Blog" page. What I do on Twitter has nothing whatsoever to do with the rules for commenting here. This is my site, and I set the rules. Abide by them, or don't comment. Thank you. I for one enjoyed the piece and think you are most likely correct! 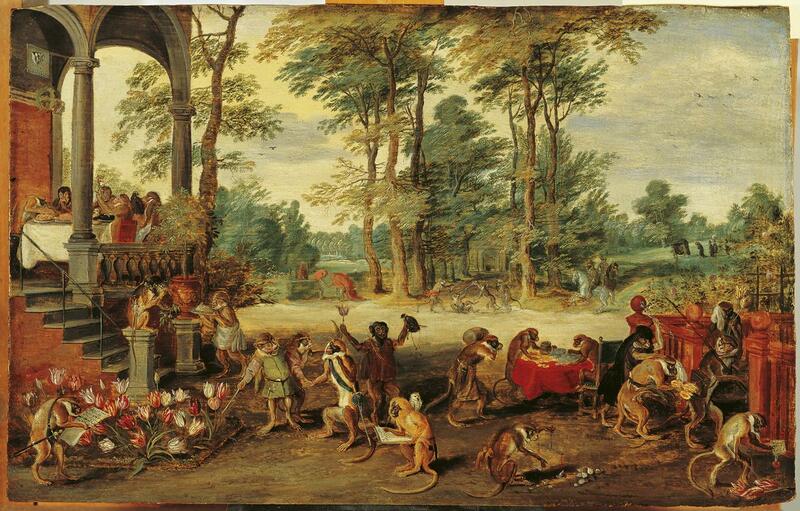 Tulip mania was a localised event in North Holland. A consequence of both the wealth generated by the Dutch VOC who had controlled (brutally) the spice markets for a 100 years.. It was at the height of the Dutch Golden age.. the circumstances and environment in which it occurred are just not being replicated here with crypto. We are not in anything like a golden age of a small mud flat on the NW of Europe. It's completely absurd too to compare crypto data with the great depression.. Crypto could collapse tomorrow and the World wouldn't miss a blink, never mind a heartbeat. Put in perspective these two events are at such different scales they could be considered the extremes of a bubble example. Oil prices.. Are you under the impression that oil prices are controlled by the same market forces as tulips or cypto-currency?.. I fear you have overlooked the role of the Saudi Royal Family.. aka OPEC. One can't ignore the political motivations that affect oil prices either.. i.e. crippling Russia. The bubble in Brent crude was as it is for every oil bubble a consequence of decisions taken by a select few, (i.e. Politicians and Oligarchs) in another universe they would be called a cartel. Ethereum 19 Billion and all the rest added up together < 15 Billion.. ..
You may be right, there could be a bitcoin bubble about to burst but as with all bubbles they are only visible in hindsight..
For my tuppence worth if it is going to fall it will fall because it has evolved into a store of money rather than a means of exchange..
After Segwit that will hopefully change. I deliberately did not discuss the specific reasons why the various bubbles form. In my view bubbles are always orchestrated - we do not take enough notice of the role of "influencers" in creating malign market exuberance. And there is always market concentration, too. I've discussed this previously in relation to financial crises. Your final comment is spot on. Bubbles develop when the desire of wealth holders for rising asset prices outweighs the need of users for cheap plentiful liquidity. It's a power asymmetry. That is currently the case in Bitcoin. Segwit will help matters, but in my view it is only a temporary solution. In the longer run, the Bitcoin community have to decide what they want Bitcoin to be - a niche gold-like asset or a mainstream means of payment. It can't be both. "In the longer run, the Bitcoin community have to decide what they want Bitcoin to be - a niche gold-like asset or a mainstream means of payment. It can't be both. " As a store of value though it risks becoming little more than a ponsi scheme. That will puff into nothing the moment a significant quantity of investors realise .. at least with gold there is a physical asset with intrinsic value. Crypto's have no intrinsic value. For me this is Segwit is important. The network has to deal with more volume. However there is an issue with the killer app.. it could become a victim of it's own success.. If tokens are meant as a means of exchange but are then adopted too widely and too fast they risk become an appreciating asset and people may stop exchanging them and revert to fiat currencies. Thus the killer app needs to spread tokens to a large number of people without causing the rapid appreciation in the value of the token.. It’s a paradox… If that doesn't happen then yes the crypto bubble could well burst..